And no one speaks or knows of me. My ax cut deep on birch and pine. My peace because the trail is good. From My Poetry Book: An Anthology of Modern Verse for Boys and Girls (Huffard, Carlisle, Ferris, 1934). 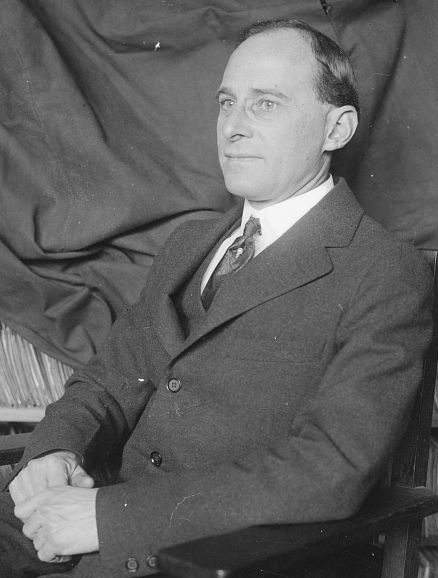 Arthur Guiterman (1871 - 1943) was an editor, book reviewer, and poet. Born in Vienna, Austria, to American parents, he was a small man who talked fast and was well-liked. Co-founder of the Poetry Society of America, he was best known for his humorous poems and his entertaining, rhyming book reviews. Arthur published more than a dozen books and his poems appeared in major magazines such as Life and The New Yorker on a regular basis. pandora: Perhaps some native people came upon this new trail, and they were appreciative. Maybe it was now easier for them to navigate this area. Maybe more pleasurable to. Would the trail be more acceptable if a woman had blazed it? Would a politically correct poem make it all better? I enjoyed this for a beautiful, peaceful poem. Finis Mitchell cut a trail in the Wind River Range to "Our Sacred Rim" with pine scars and rock cairns. This was written before people looked for personal politics and issues in everything. How about just enjoying a lovely, unselfish poem for itself. We'll all be happier. ...My joy because the trail is there. Bravo! A true hero---a pioneer. Very special poem. Honor to Arthur.